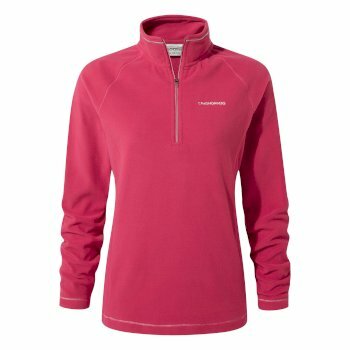 Jump in to your next expedition with a warm and comfortable women’s fleece jacket from Craghoppers. 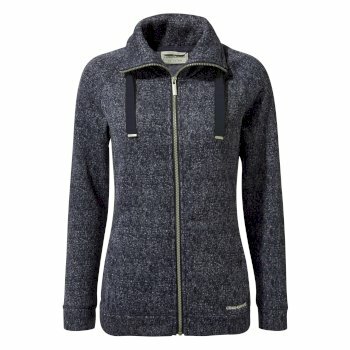 With our range of stylish women’s fleece with innovative fabric technologies, designed to keep you warm and insulated all year round, pick up your next women’s fleece to complete your outdoor wardrobe at Craghoppers. With our range of women’s outdoor fleece jackets, you’re sure to find one suitable for your next expedition. Discover our wide selection, ranging from women’s hooded fleece jackets, women’s full zip fleeces, and women’s half zip fleeces in different colors and styles – choose the perfect ladies’ fleece sweaters for you this season. Our women’s fleeces aren’t just made to look good, they are extremely practical too - incorporating special technologies, our women’s fleeces are designed to protect and keep you warm on your next outdoor expedition. Going away on a relaxed walking holiday? Try one of our microfleece half zip fleece jackets. 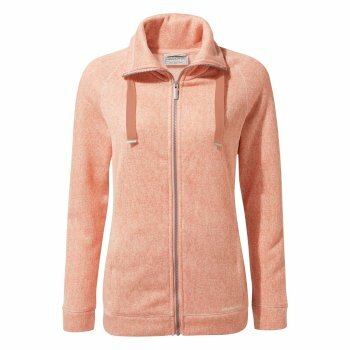 This women’s fleece is a lightweight with powder-soft fabric, equipped with wash&wear technology - our women’s microfleeces are designed to be easy-care pullovers. Let our ladies’ fleece sweaters lock in heat when they need to, and keep air flowing when they don’t, meaning you can be care free, and trust your women’s fleece to keep you comfortable whatever the weather. Maybe you’re heading away on a challenging hiking expedition? Why not try our thick, snug women’s hooded fleece jackets? Our thicker fleeces offer ultimate protection from cold conditions, with a special insulating layer – these women’s outdoor fleeces are perfect for stopping cold air sneaking in. All our women’s fleece jackets are designed to be practical and stylish, taking you from everyday wear to the toughest adventure. View our full selection of women’s outdoor fleece jackets to find the perfect fit for you.